Robert ‘Tony’ Sedillo, went on a hashtagging frenzy on Instagram(IG) as soon as he reached the most scenic view of a hike one day. He was accompanied by his better half, Kyla Vida. 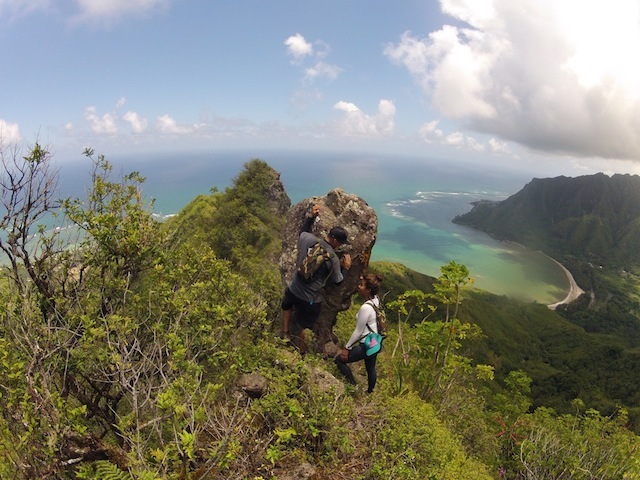 Little did Sedillo know, that after taking that picture, #VentureHawaii would take off and become a movement to inspire others to get up and explore our home, Hawai‘i. 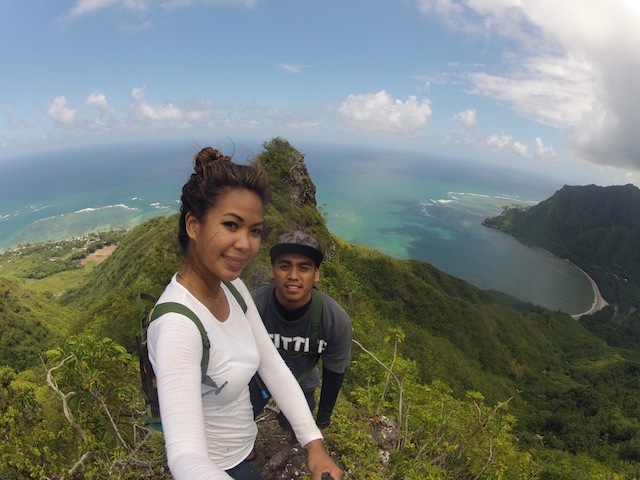 I had the honor of joining Sedillo on one of his excursions atop the Ko‘olau ridge, with an overview of the east side of Oahu. As we strolled along the ridge line, we stumbled upon an overgrown pillbox, spruced up with graffiti. Here, we cruised for a bit and asked him a few questions about himself, how the Venture Hawaii Movement began, what its become, and where he sees it going. FITTED : So what’s your name? Robert ‘Tony’ Sedillo : Wait…Do you want me go like ‘Robert is my real name’? or should i go ‘Tony’?…My real name it Robert Keoki Anthony Sedillo, which is where i got ‘Tony’ from. FITTED : What got you into hiking? Tony : Being born and raised out here in Hawaii…You know, In high school it was all about going out and after high school it was more about appreciating home after moving away. When i came back i appreciated home so much more, and i wanted to, you know, see the island from all over, north, south, east, west. 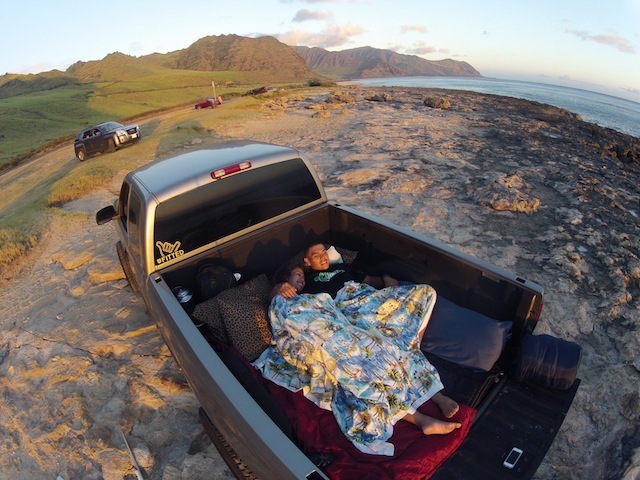 FITTED : How did #VentureHawaii start? 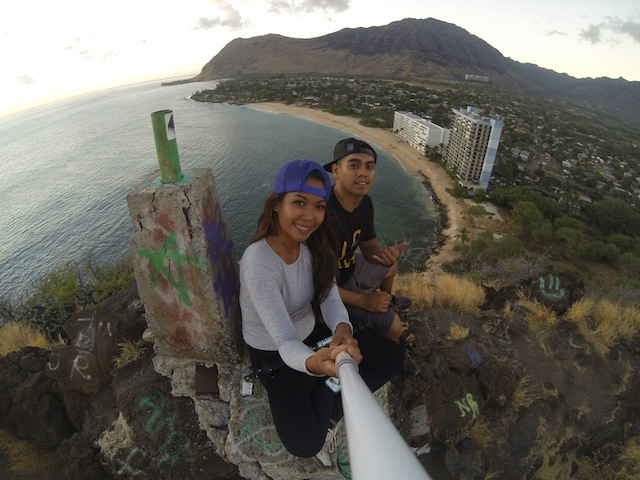 Tony : #VentureHawaii started a hashtag on IG, It was mainly for Me and Kyla to have all the adventures we go on in one place. And then, as it kinda got popular, you know, a lot of people using the hashtag #VentureHawaii made an IG where it developed into a community of hikers that share the same thing, but not only hikers, but divers as well, and you know people that just go on adventures around the island. FITTED : Where do you see #VentureHawaii going? Tony : We kinda blew up a lot faster than we expected, we actually didn’t expect it or turn into, you know, an IG and a website. We’re not too sure where we’re going right now, but the more we grow, the more we link up with other people its really just to share knowledge and share experiences with people not only from our islands, but from all over the world. WHen they come here, wanna visit and see the island how we see it, you know, thats what we try to share. For now we are only hiking and experiencing the island that we live on, Oahu, but we want to start expanding more, visiting neighbor islands, to enjoy what they have. Such as, the Na Pali coast on Kauai. Our Dive team actually went on a trip to the Big Island where we met up with a few friends and they took us to some beautiful reefs and caught many fish to take home with us. 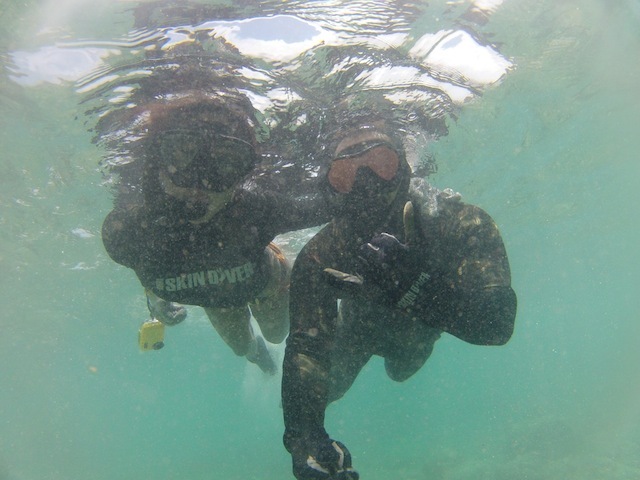 So that experience was, you know…It was different, It was a blessing, just to experience what spearfishing and diving is like on another island and sharing the same stories and memories back home with friends and family, is what we wanna do and expand to not just our islands exclusively, but to whole island chain cause it is #VentureHawaii. Closing the interview Tony wanted to add : My website and IG was created for entertainment purposes only, everything that you do, you should be cautious, do the right research, and be safe.